Mohenjo Daro 4th / 5th Day Collection Monday / Tuesday Box Office and Earnings report: Mohenjo Daro collection is one of the most trending week of the year. Getting competition on box office with Rustom was one of the bad thing happened in Mohenjo Daro’s fate. The film recieved plenty of responses from critics and the fans as well. The movie performed plenty good at epic centers in India. Overall it faced good competition on box office because of clashing with Rustom. Although Mohenjo Daro collection sustained because of having a different concept. Although performance of Mohenjo Daro collection was not good in the multiplexes and PVRs. Being a state of art graphics reproduction, it should had scored better in the multiplexes. However, the response from single screen cinemas had compensated to make film enough eligible for minting out the cost. Mohan Jo Daro got a even big release than Rustom as it was able to get 300 screens more than of Akshay Kumar’s film. The fickle was originally screened on 2600 screens throughout the country. Among them more than 1500 screens were from single screens. During the opening day, Friday, the response was good but below the expectations. The movie was released on over more than 2500 screens and earned 8.87 on the opening day. Although it was below the expectations but good as first time in bollywood, two films clashed and both sustained on the box office. During the 2nd day, a betterment can be observed on the box office. Film didn’t get a warm release but was successfully able to break many records of other releases this year. The good part of the whole story remains as the film didn’t flopped as bad as Shah Rukh Khan’s FAN. The growth was marginal on the second day as Mohenjo Daro collection for 2nd day remains to the figure of 9.90 crore rupees. On Sunday, the response on both the films were better. 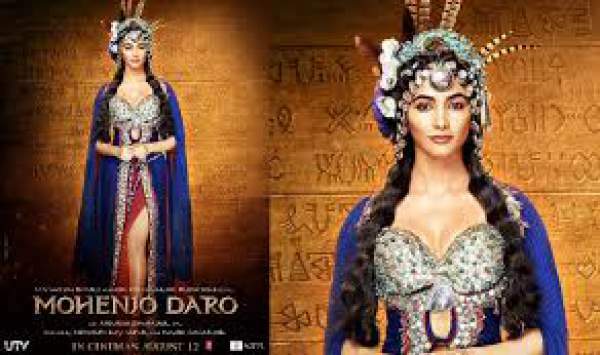 Mohenjo Daro was successful in minting more than 11.20 crore rupees with 15% growth on Sunday. The figures were small but quite satisfying to control our anxiety. As the total collection and earnings during the first weekend, Mohanjo daro was able to earn near the figure of 30 crore rupees (29.97) which is 20 crores less than of Rustom Collection. The reports from the western market was also quite satisfying. Overseas Mohenjo Daro collection totalled to 6.20 crore rupees. UAE-GCC remains the best market beneath. On Independence Day, Mohenjo Daro collection observed a hike and collected more than 13 crore rupees in the single day totalling total earnings to 43 crore rupees. All should watch very good film acting, everything is good. Achhi film ke liye time nhi hai kisi k pas India me. Amazing movie , brilliant effort by Ashutosh gowariker. Brilliant performance by Hrithik Roshan. Amazing graphics. Not an easy job to be made in bollywood. A must must watch for everyone. We should appreciate these kind of movies and there efforts otherwise india cannot even think of making movies like hollywood make because they like doing experiments and we will be always be stick to movies like bodyguard, sultan , wanted etc. Gowarikar is known for stealing scripts and ideas …Lagan was stolen from a poor writer, who couldn’t do much…then Swadesh was copied from 9 times National award winning film maker T.S. Nagabharna, then in Khele hum jee jaan se Gowarikar he cheated Shonali Bose ( Chottgong & Margarita with a straw fame) and now Akashaditya Lama is his latest victim. But ultimately KARMA played its role …It the FILM is BOMBED….with a loss of 100 Crore !!! HE COPIED BUT COULDN’T PASTE ! !